I am Abigail (aka boat monkey). I have a little small toybox with 100,000 toys! I love to sail. I love to snorkel and can swim for a while without my floaty thing - it's really tiring. I can name just about every marine animal/mammal. I like kindergarten boat school with mom. We make lots of cool things. I am always drawing pictures and spend a lot of time decorating the boat (with my hair stuff and necklaces). I like my cabin very much, especially since we are going to put the new Hello Kitty fabric on some padding for my bunk wall! I picked out the material! I like to walk, ride my bike and look for bugs and lizards. 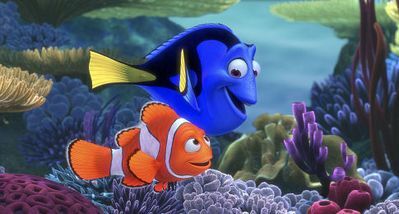 My favorite movies are Finding Nemo, The Incredibles, Shark Tale, Heffalump. I like to play Candyland. I am Aaron (aka boat monkey). I climb everything bigger than me. I often leap like spider man and get hurt. I am tough though and just brush it off. I luuuuvve Superheros, Spiderman, Superman Larryboy and am usually wearing my purple cape. Mommy doesn't care if I wear it out which is great because I get a lot of attention for it at restaurants and parks. I am learning to use the potty which is a real nuisance. Mom & Dad are really excited about it though. I just do a bit here and there to keep them happy but diapers are by far simpler for me to use! I still love Finding Nemo and have a new fav movie, Heffalump! I love to pretend I am a heffalump! I also really love dinosaurs and enjoy The Land Before Time Movies. Jurrasic Park was pretty scary though!